Vast outback, World Heritage-listed natural beauty and cosmopolitan cities are just some of the reasons Australasia continues to beckon the discerning traveller to its shores. 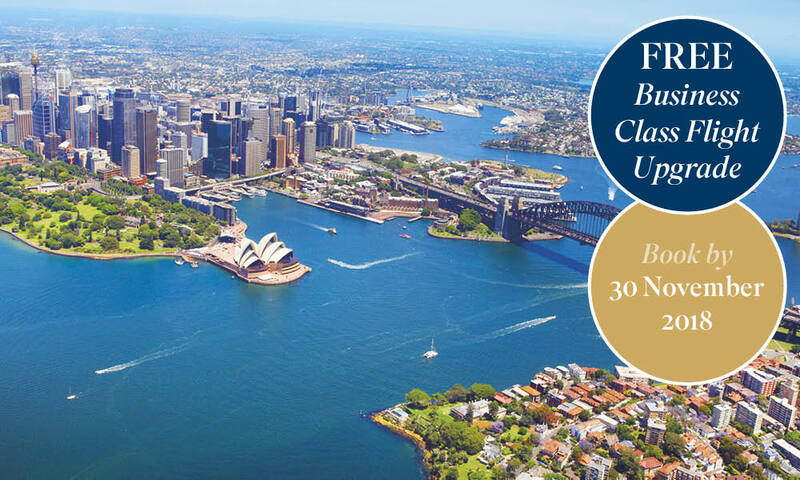 And with so many wonderful new additions to our Australasian itineraries for 2019/20, you could be witnessing the dramatic steep cliffs, eucalyptus forests and waterfalls of the truly spectacular World Heritage-listed Blue Mountains on a Scenic Freechoice excursion, accepting an invitation to a Captain’s Dinner Cruise around Sydney harbour or stepping on board a catamaran for your evening meal, as it sails the calm waters of Cairns’ beautiful Trinity Inlet. Not forgetting, iconic hotel stays elevate your experience even further, which is why we’ve added the Port Douglas Peninsula Boutique Hotel to our Very Best of Australia & New Zealand itinerary. From north to south, east to west, there’s so much to celebrate across Australia’s exquisite landscape, whether it’s a celebration of world-renowned viniculture, gastronomy or iconic wildlife. South Australia is a foodie’s dream, from the sensory exploits of our Scenic Freechoice tour of Adelaide’s Central Market to a gourmet cheese, honey and wine tasting with an epicurean guide on Kangaroo Island as part of Scenic Enrich. 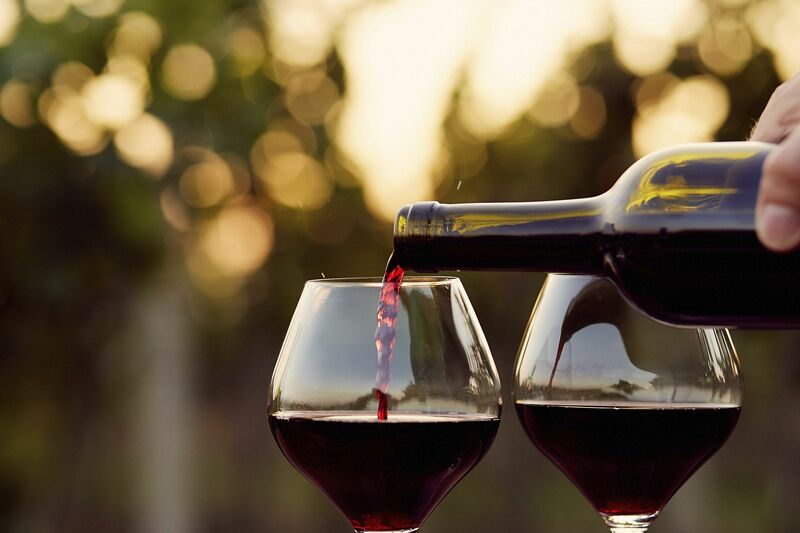 And the region’s affiliation with wine will burst into life on visits to Clare Valley, one of the oldest wine regions in Australia, and Barossa Valley, where you’ll be able to tour the award-winning Jacob’s Creek winery. Walk on the wild side during incredible experiences created exclusively for Scenic. Wander the bush of a kangaroo sanctuary as the much-loved marsupials wake from their slumber, enjoy the inspiring scenery of Flinders Chase National Park, home to the third-largest sea lion colony in Australia, and spot native sea lions, koalas and diverse species of bird on Kangaroo Island. Unforgettable Scenic Enrich experiences immerse you in the beauty of the natural world during a dining experience as the sun sets over Uluru, before you’ll retire to your Scenic Special Stay, the 5-star Sails in the Desert Hotel. View the technicolour coral network of the Great Barrier Reef from above during a helicopter flight and reside in the spectacular Thala Beach Nature Resort and Spa (available on the Very Best of Australia & New Zealand), nestled in-between the shore and the rainforest, all before being drawn in by Sydney’s magnetism as you fly above the harbour’s main attractions by seaplane. Dominated by nature’s great feats, New Zealand’s compact size makes incorporating several destinations in one journey very achievable. This spectacular bioregion is a diverse mixture of jagged mountain ranges, tall glaciers and volcanic activity, as well as big cities and picturesque beaches, spread out over 1,600 kilometres. On the North Island, Maori culture can be unravelled one chapter at a time. A Scenic Enrich visit to Waipoua Forest will teach you tales of the ‘Lord of the Forest’ in the presence of Tane Mahuta, the largest known kauri tree standing today. Nature is truly at its finest at the northernmost tip of the North Island, where a trip to Cape Reinga is enhanced by a Scenic Enrich experience along the magnificent golden sandy shores of Ninety Mile Beach, followed by a two-night stay in the picturesque Copthorne Hotel and Resort, boasting stunning views overlooking the Bay of Islands. Visit New Zealand’s most important historic site, the Waitangi Treaty Grounds, where the British Crown and Maori chiefs signed their first treaty in 1840. Then, in Rotorua, enjoy an authentic dining experience as you’re invited to dinner, prepared on a Hangi. On the South Island, the majesty of Milford Sound is something you’ll experience from on board the Milford Mariner as you wake from your overnight cruise to the sight of the breath-taking fjord’s waterfalls and rainforests. 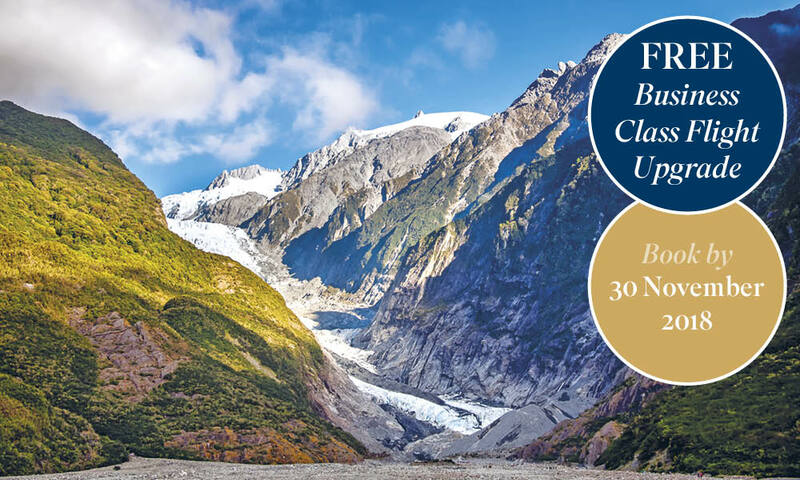 And, as well as cruising, you’ll travel by the world-famous TranzAlpine railway across the Southern Alps, enjoying the striking natural landscape and truly epic vistas, before marvelling at the Franz Josef Glacier and setting up for your overnight Special Stay at the 5-star Te Waonui Forest Retreat. Where rugged wilderness, a thriving art scene and a burgeoning culinary trend offer so much in the way of exploration, this small island state can often be overlooked in favour of its nearby neighbours. Tasmania is yours to uncover over 16 days, beginning in the capital, Hobart, set on the River Derwent. Step back in time on an exclusive Scenic Enrich visit to the Wall in the Wilderness, as you learn about the history of the Central Tasmanian Highlands. Cruise through Franklin-Gordon River National Park on your way to the magnificent surrounds of Cradle Mountain Lodge, your Scenic Special Stay boasting views of its namesake. Taste the award-winning cheeses from Pyengana Dairy Company, marvel at the pink granite mountains of Wineglass Bay and come into contact with the surprisingly shy Tasmanian Devil on a tour of Freycinet National Park. See for yourself these three incredible destinations, all extraordinary in their own way, as part of a our fully-inclusive escorted tours, tailormade to suit your preferences. With everything you could need included in the price, from return flights and internal transfers, to every excursion, your Australasian adventure awaits. To celebrate the launch, you can enjoy a FREE Business Class Flight Upgrade across our brand new collection, when you book a 2019/20 Australia & New Zealand escorted tour before 30 November 2018. White sands, rugged landscapes and charming townships make Tasmania an alluring treasure on Australia’s beautiful southern coast. 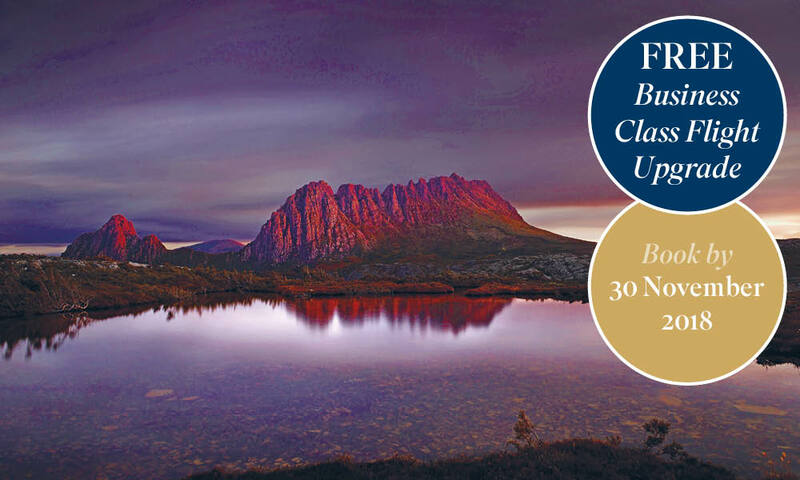 Over 19 momentous days, savour the history, customs and spectacular natural showcase of Tasmania, travelling on a roundtrip from the fascinating capital of Hobart.